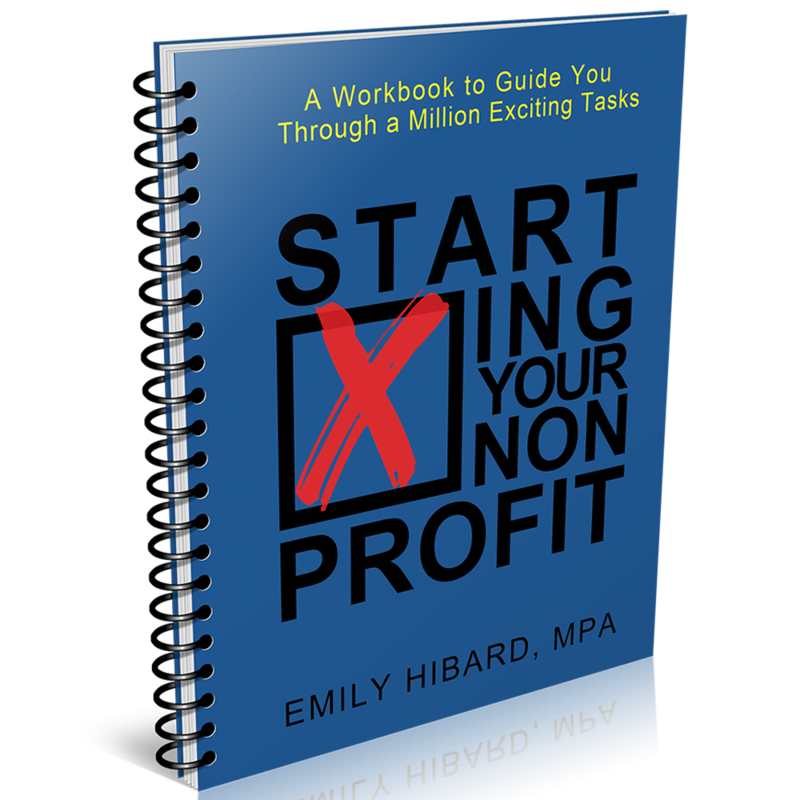 Starting Your Nonprofit: A Workbook to Guide You Through a Million Exciting Tasks is a 200-page interactive workbook that simplifies the process of starting a nonprofit into eleven easy steps. Use this workbook to start a nonprofit in any of the fifty States. 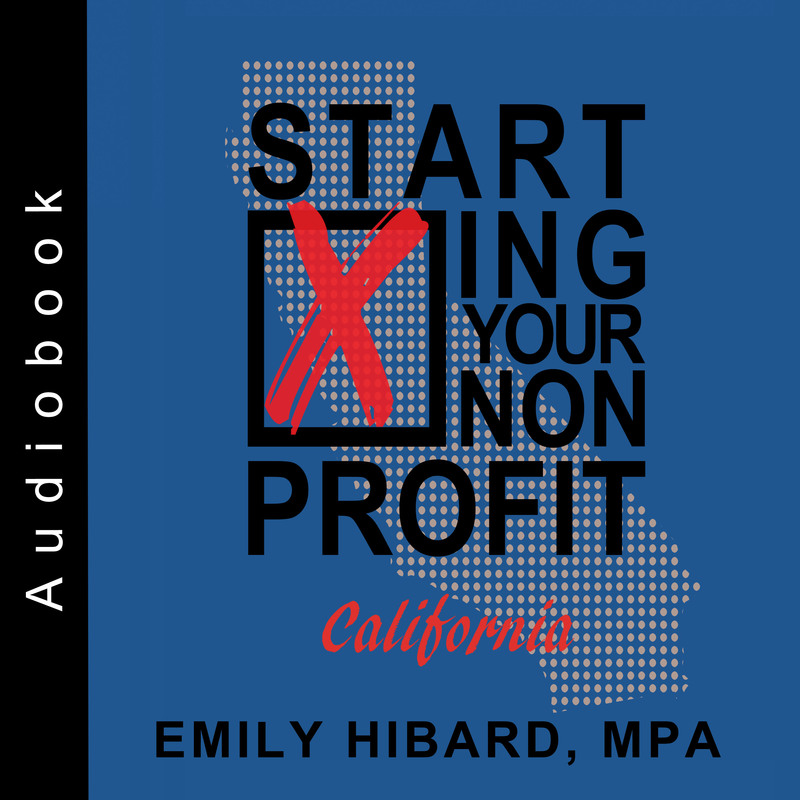 Starting Your Nonprofit: CALIFORNIA is a concise 24-page adaptation of Starting Your Nonprofit: A Workbook to Guide You Through a Million Exciting Tasks. 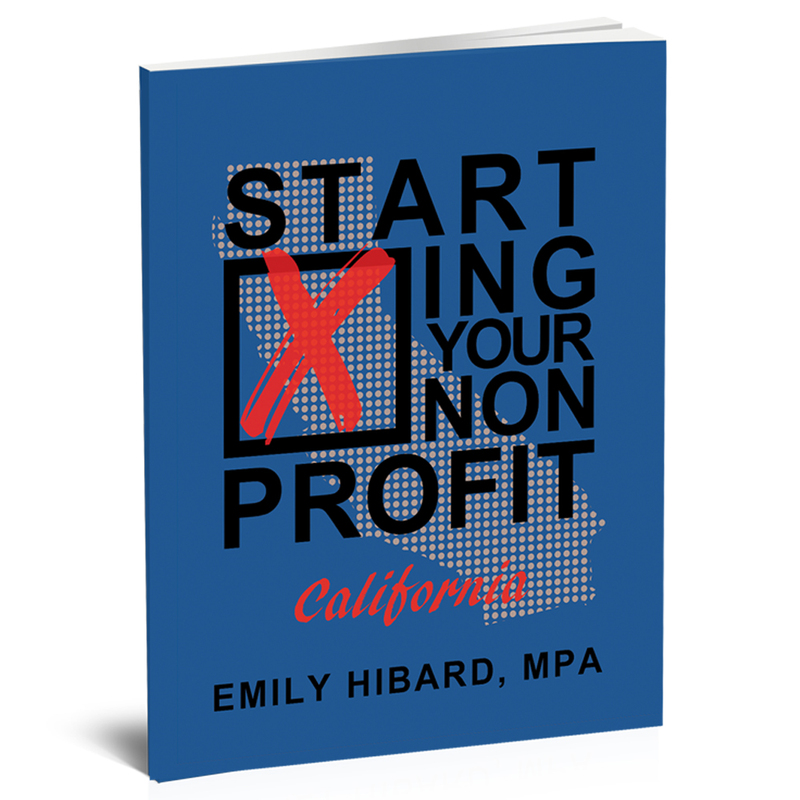 Laser focused on California nonprofits, this powerful book will guide you through the eleven steps to get your nonprofit up and running. Starting Your Nonprofit: CALIFORNIA is laser focused on California nonprofits to guide you through the eleven steps to get your nonprofit up and running. This audiobook is available immediately via digital download (mp3). Emily Hibard studied Modern Political Thought at Oxford University, earned a Bachelor’s degree in History and Political Science from Azusa Pacific University, and holds a Master’s degree in Public Administration (MPA), specializing in Nonprofit Management, from California State University, Northridge. In 2012, Emily founded Idle Tuesdays Recording Studio, a 501(c)(3) nonprofit organization based in Los Angeles.